Note: The following is an article by Br. Andrew Livingston, regarding one of the most popular Christian works in recent times,“The Case For Christ” by Lee Strobel. Br. Andrew’s writings can be found at taqwamagazine.com. In this article, Br. Andrew takes an honest and critical look at the ‘questions for reflection’ included in the book. I don’t know whether it’s already obvious but Strobel was referring to the Jesus Seminar. He wanted to confront their critiques head-on!—so he…interviewed an apologist who doesn’t like them. What, he’s not going to interview a *member* of the Seminar? Of course not. Because then the book wouldn’t be so one-sided. What we’re looking at here is *anything* but an “investigation”—which was exactly Strobel’s intention from the start. Indeed, there are passages that suggest to me that the book could be an outright work of deceit. A coldhearted cash grab intended to sucker Christians into thinking that they’re going to read about a journey toward conversion (i.e. the first book or something much like it) before they actually make the purchase and read the whole text, or in case they don’t read carefully enough. It’s unlikely that anyone casually picking up this book in a store and skimming through a few pages here and there will know that it comes from someone who’d already become a Christian years before—and sometimes the book looks like it’s deliberately written so as to give the opposite impression. For example, why would Strobel ever say that anyone was “offended” by his “admittedly barbed remark” (page 230)? Why would he ever feel “a bit chastened” after hearing a rebuttal (page 195)? Why would he “demand” anything “in a tone that sounded more pointed than he had intended” (page 208)? Whatever the intentions behind the book there are certainly few surprises—for anyone familiar with Christian apologetics, anyway. After a while you get to where you can recite the contents of the old broken record in your sleep: why-would-the-apostles-have-been-martyred-for-something-they-knew-to-be-a-lie-lord-lunatic-or-liar-First-Corinthians-fifteen-this-scholarly-majority-that. I’ve decided to answer some of those “questions for reflection or group study” included at the end of each chapter. I originally set out to answer *all* of the questions—and then I quickly realized that I’d wind up with a twenty-thousand-word article. I’ve therefore decided to keep to a selection of six questions which are centered on the identity of Jesus (bless him), and which should collectively show you a few interesting things. A face-to-face encounter with someone who’s briefly describing a recent occurrence is very different from a detailed, pages-long recounting of a conversation that took place fifty years ago. The latter is more the sort of thing we find in the Gospels. Craig Blomberg, in his interview, predictably argued that oral tradition in ancient times had a baffling capacity to preserve details accurately (pages 43-4). In that case you should find more agreement between the Gospels. There is more on this subject below but for now let me give an example. The book of Mark frequently depicts Jesus as performing miracles privately, telling people not to reveal who he is, that sort of thing. John, on the other hand, has him never hiding his identity: indeed each time he performs a miracle he gives an elaborate speech explaining the theological significance of it. Compare Mark 8:27-30 to John 4:5-41. This does not look to me like the result of everybody faithfully remembering everything. *Someone* must have gotten it wrong. Yet it’s not mutually exclusive for two sources to *both* be wrong at the same time. This is but one demonstration of many: the earlier the version of a narrative the more human Jesus seems to get. Could it not simply be that Jesus *was* in fact only a prophet and it’s the dying for our sins part that got tacked on later? I doubt very much that mental patient would refer to “my Father and your Father…my God and your God” (John 20:17). Unless, that is, he suffers from multiple personalities. Of course all I did was merely quote a Bible verse without first establishing its accuracy—but then that seems to be a nasty habit of the interview subjects in this book too. Nobody out there, as far as I know, is actually saying that Jesus was a madman, any more than they’re saying that the early Christians were willingly living a lie. Why do Christian apologists always bring up these straw men? During his interview Craig appealed or referred to the idea of following the scholarly majority five times. I may have missed one or two. So that probably should give you a sense of how he’d respond to me. One way or another you’d have to do more than Moreland, or anyone in any of these interviews, did. Throughout the book people baldly assert things to be historical fact and do very little to explain why I should believe them. With Moreland we get a whole interview built around this principle. The apostles all believed in the Resurrection; they all preached the Resurrection from the start; the stories of their martyrdom are true; “Josephus tells us that James…was stoned to death because of his belief in his brother” (page 248). (Look up the Josephus passage and see. It doesn’t take long.) And so forth. These are *not* facts, they’re claims, and I often don’t understand why it is I’m supposed to accept them. Let alone why I should accept them from a man who clearly demonstrates his bias by asserting (just as much without supporting argument) that the followers of Muhammad (bless him) “‘converted’…by the sword”, moments before carefully glossing over early Christian history by leaving it that Christianity “eventually overwhelmed the entire Roman empire” (pages 249, 254). I mentioned the book’s conclusion. I’ve found something interesting there. Do you want to see some truly stunning proof of just how far Christian apologists will go in repeating the same arguments ad infinitum? In this conclusion I’m encouraged to “reach my own verdict”. Which again is kind of offensive considering how said encouragement comes after such a one-sided “investigation”. But very well. If I have learned anything new from this book, it’s a confirmation of a preexisting suspicion. Or anyway my suspicion has slightly grown. A suspicion that evangelical Christians are ultimately concerned with pretty much nothing except validating the inerrancy of The Bible. Any talk of historical evidence—in a way, even the act of focusing on the Resurrection in particular—is either an outward show or an inner rationalization. Gary Habermas does something similar in pages 232-3. One moment he’s talking like it’s irrelevant if there are little inconsistencies here and there in the biblical Resurrection accounts; the next, he’s making a point of placing the “five hundred brethren” from 1 Corinthians 15 within the framework of the Matthean storyline. What exactly *are* his priorities? John McRay first says that “archaeology…certainly can’t prove whether the New Testament is the Word of God”…and then says that the reason why Luke 18:35 and Mark 10:46 appear to contradict each other (with “approached Jericho” vs. “leaving Jericho”) is because archaeology shows how there were at least four different locations for Jericho, and so it’s “like moving from one part of suburban Chicago to another part of suburban Chicago” (pages 95, 98). It’s like these people can’t help it! I’ve seen this exact phenomenon a lot in interfaith debates, wherein the Christian debater carefully keeps himself at arm’s length from the topic of biblical inerrancy while somehow nonetheless guarding that same doctrine with all of the protectiveness of the sphinx. So strange is these people’s doublethink that in their minds The Bible can be confirmed as true by being shown to contain a lie. I’m not making that up. They do it in this very book. When Habermas is asked about the women at the empty tomb not showing up in Paul’s account of the Resurrection in 1 Corinthians 15 he says that “since women were not considered competent as witnesses in first-century Jewish culture, it’s not surprising that they’re not mentioned here” (page 233). It is this very claim I’ve heard several times before. Somehow it’s supposed to confirm Paul’s account as trustworthy—by calling him a liar. You know what? I take it back. I *don’t* understand what’s going through these people’s minds, and I don’t think I ever will. 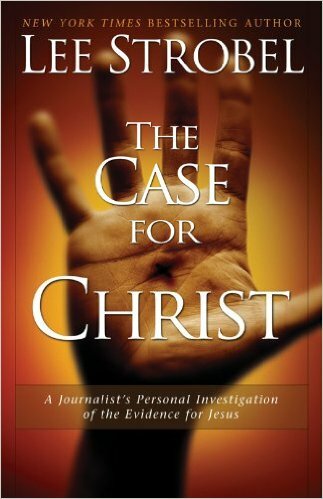 “The Case for Christ: A Journalist’s Personal Investigation of the Evidence for Jesus” by Lee Strobel. 1998 Zondervan. It’s a large paperback. For instance Google “explanatory scope explanatory power plausibility” and see what kinds of sites pop up in the results. It’s Christian apologetics and Christian evangelism as far as the eye can see. Nary a sign of a secular historical discussion. Yet in their debates William Lane Craig and Mike Licona will treat these criteria like we’re supposed to take them for granted. Accessed Saturday, September 19th, 2015. The parable of Dives and Lazarus in Luke 16:19-31 is now, for me, looking more awkward in its present context than ever. Always assume, unless I say otherwise, that I’m using the New Revised Standard Version. As indeed I am here. “Handbook of Christian Apologetics: Hundreds of Answers to Crucial Questions” by Peter Kreeft and Ronald K. Tacelli, page 191. 1994 IVP Academic, an imprint of InterVarsity Press. It’s another large paperback book.